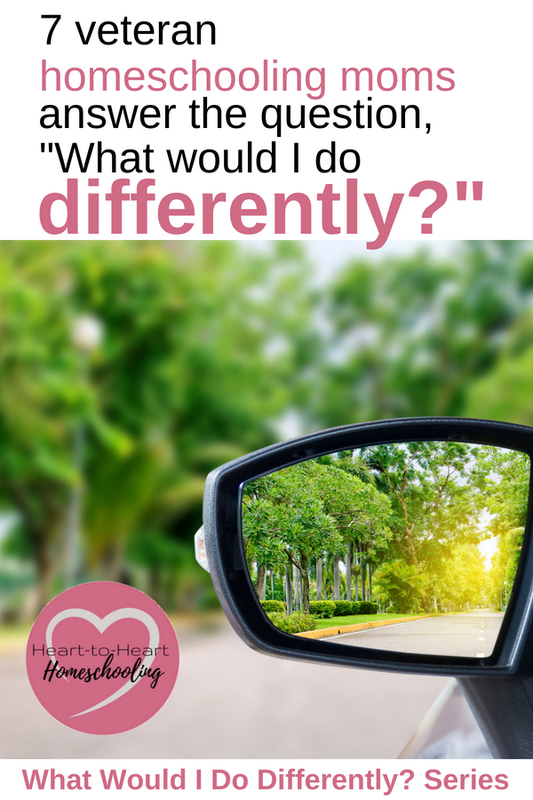 What Would I Do Differently In Our Homeschool? I know this may shock some of you, but we weren’t perfect at the homeschooling thing 😉 And if I could do it all over again, we still wouldn’t do it perfectly. It just isn’t possible. But now that my boys are both in college, I can share with you what I would do differently in our homeschool. 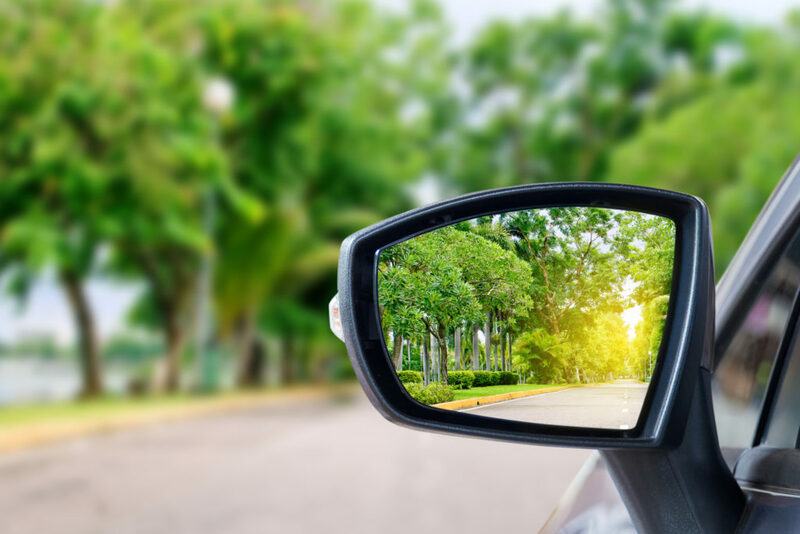 When our youngest graduated from our homeschool, I decided I didn’t want to look back and dwell on my mistakes, my imperfections, and even my sin as a homeschooling mom (Did you know sin means to “miss the mark”? I definitely did that some!). But I don’t think it hurts to look back in order to evaluate our homeschool. Is what we are doing effective? Does it align with our desires and goals for our homeschool? You’ll find a section on evaluating your homeschool in My Homeschool Workbook. Subscribe and get the 29 Page Workbook to help you customize your homeschool experience! But for those of us who have graduated our kids, evaluating our homeschools might just help someone else on their own homeschooling journey. You’ve heard the phrase “experience is the best teacher.” And that is true! But why not learn from other people’s experience, too? Many parents ask me what I would do differently if I could do it all over again. I immediately respond by saying, I’d stop using curriculum that wasn’t working sooner. Even though I tailored each child’s education to their unique learning style, I took too long to find another way to teach the subject. Those highly recommended books may not be the best for your child. The second thing I would do differently is not worrying about what our family or friends think. I allowed others to sway how we homeschooled more than I should have. Education involves more than engaging a mind. It’s nurturing a heart, mind, and soul. Observe and foster your child’s strengths. Call out their giftings and speak life into them. Empathize with their challenges and celebrate their triumphs. Spending time with your children, talking with them face-to-face and listening to their concerns—even when you have been wronged or have other opinions—communicates that their thoughts and well-being are important. The biggest thing I’d like to change is to worry less and trust God more. I’m still working on this BIG TIME! Happily, I don’t have very many regrets, but one thing I would do differently is to relax sooner. I had the same fears and anxieties as most other homeschool parents, but as long as God is your guidance counselor, and you’re being diligent in your homeschooling, you can relax and embrace the wonderful freedom that it brings. It isn’t a matter of checking every box and teaching them every possible thing, it’s the loving atmosphere of your homeschool, and putting God first, that makes them flourish. I would focus on consistency. It’s better to have a short and sweet homeschool routine that is completed daily than to have the perfect homeschool which burns you out. Kids who have a strong habit of sitting down and studying every day flourish in high school and beyond because consistency is the key to success. Related: What’s Your Homeschool Philosophy? I would judge my homeschooling success more by how much wisdom my children have learned, rather than if they were ‘caught up’ for their grade level. What Will You Do In Your Homeschool? The most important question though, is “What will you do in your own homeschool?” Every family is different. And every family has the opportunity to be a team when it comes to the homeschooling adventure. When we begin by considering what we believe about education and how we want to homeschool our children, we have a firm foundation to build upon. But even in this, we have to give ourselves a lot of grace throughout our journey. And we have to remember to keep the most important things the most important things. To define and realize what true homeschooling success is for our families. No. You won’t do this homeschooling thing perfectly, and that is OK. But you can consider what those who have gone before you have learned. And maybe it can help guide you on your own journey. Thanks for putting this together, Kay! 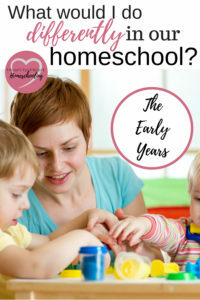 I learned SOOO much from older and wiser homeschool moms over the years. This is yet another way to “pay it forward”! And thanks for your perspective! Isn’t it wonderful to have relationships with women of all ages. We are truly “better together”!